Spring has almost sprung! With each new season, usually brings new hair. Now is the time to upgrade and make your color services process faster, allowing you more time, for more services. Try Bravura infrared color processor to get the job done! This unit has five independently controlled heat zones, and you can isolate application areas. 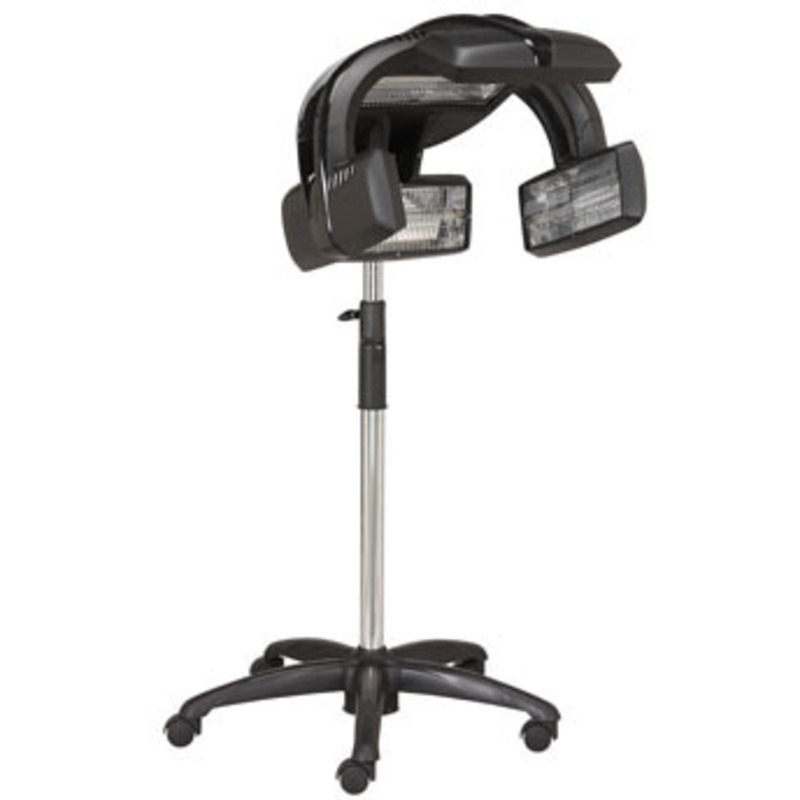 It targets the precise amount of time and heat setting to the client's hair condition. The operator can choose to have all heat zones on or focus on particular areas, particularly useful in root touch-ups. Large opening allows easy access in and out while accommodating foils, rollers, and rods. Telescoping pole assembly for adjustments to varying seated customer heights. Heavy-duty roller caster base is designed to provide a stable footprint and allow the dryer to be pulled up close to backs of salon seating. Also available in a wall mounted version. Update Your Look for Fall and Give Your Colorist a Visit! Hair color is one of the greatest trends that women can enjoy playing around with. Fall is a great time of year to make a change to your color. I myself love making changes to my hair color, I'm a natural blonde, have gone brunette, and am playing around with the idea of...maybe...something a little more red! Changing your hair color with the seasons is definately a lot of fun. If you are looking to update your dark tresses, consider going warmer and darker. Darker colors can highlight the skin and eyes, so it is a great way to change your look with the changing seasons. Another look that continues to stay popular is a sleek, black color. Red is definately a huge trend this fall. Warm tones such as copper and auburn will balance out paler skin. For a lighter, less extreme look, try going with a strawberry blonde color. A great way to update blonde hair for the fall is adding more of a beige tone. Also, adding some low lights will tone down the summer blonde color and give you a great multidimensional look. Whichever color change you choose, try to keep it within two shades lighter or darker than your natural color. Be sure to consult with your colorist what would work best for your skin tone and leave them to work their magic! Happy coloring! !